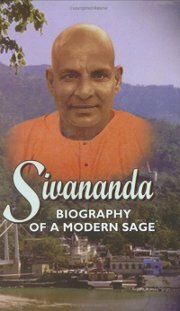 The many-faceted personality of Swami Sivananda is depicted through examples and stories as told by his close disciples, as well as from his letters and official accounts in The Divine Life magazine. They relate the story of a very great human being in a most effective manner. All the complexities of a sage of infinite wisdom, infinite compassion and infinite love are explored. His unparalleled selfless service of humanity - first as a medical doctor and later as a realized sage - provides a living example of strength, humility and devotion. His dedication to the welfare of not only his own disciples but mankind at large is described in this volume. Sri Swami Sivananda, born on the 8th September, 1887, in the illustrious family of Sage Appayya Dikshita and several other renowned saints and savants, Sri Swami Sivananda had a natural flair for a life devoted to the study and practice of Vedanta. He was an inborn eagerness to serve all and an innate feeling of unity with all mankind. He is the author of over 300 volumes and has disciples all over the world, belonging to all nationalities, religions and creeds. To read his works is to drink at the Fountain of Wisdom Supreme.